T o his credit I suppose, Paul seems to lose sight of his enormous talent and the responsibilities (?) that come with such prodigious gifts. Reuniting with estranged Beatles producer George Martin apparently shook Paul from a years-long reverie where the songwriter only sparingly invoked the production value synonymous with The Beatles. 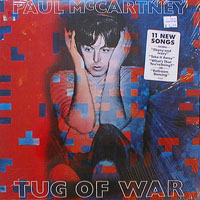 Although he had extra time to write material for Tug of War, the songs at their core are no more winning than what you’d find on London Town (which I always felt was an underrated album). The difference here is the production that Martin brings to the table, freeing McCartney to pay more attention to his performance. It’s easy to imagine songs like “The Pound Is Sinking,” “Here Today” and “Somebody Who Cares” as throwaways, but Martin instead tightens the loose ends and puts them in the pretty packaging they deserve. Better still, the hits shine even brighter: “Take It Away,” “Ballroom Dancing” and “Ebony And Ivory” are almost sublime in their pursuit of pop music perfection. The remaining songs achieve an interesting balance, from the playful collaboration with Carl Perkins (“Get It”) to the mature-sounding title track. 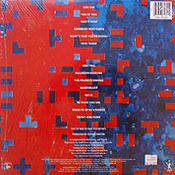 The whole thing boded well for McCartney’s solo career in the new decade; McCartney II was no more than a placeholder anyway, and retaining the services of Denny Laine (as well as wife Linda) kept the skeleton of Wings intact while shedding the problems that come with maintaining a working band. 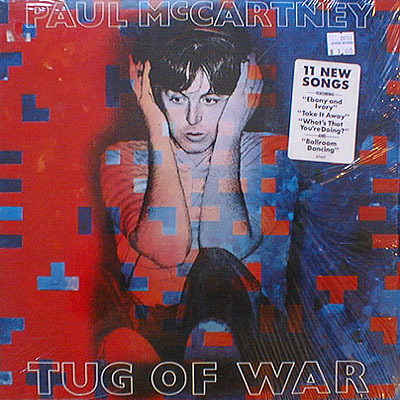 As it turned out, Tug of War would be to Paul’s ‘80s efforts what Band on the Run was to the albums of a decade earlier: a shining stallion in an otherwise sleepy stable. All songs written by Paul McCartney unless noted. 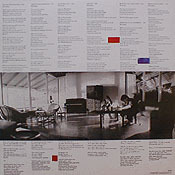 Arrangements by Paul McCartney and George Martin.